Check Out Crafted Candles' Fall & Halloween Collections & Enter to Win $100 Worth of Candles! I know I'm not the only gal who has a slight obsession with candles. You can find at least two candles in every room of my house (even my daughter has battery-operated ones!). I especially love scented candles and find that they work much better than air fresheners at giving off a pleasant, long lasting fragrance, not to mention they last a lot longer which equals money saved! That's the main reason I use them, but I have also have candles I use for special occasions, such as dinner parties and date nights. I have a stunning candle centerpiece that comes out once a year for the holidays. Speaking of holidays, fall is here and Halloween is right around the corner. My house is already decorated with themed candles for this time of year, but I'm always looking to add to my collection! 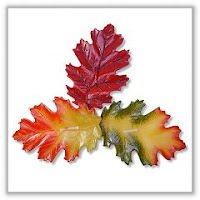 Crafted Candles has an extensive selection of Fall Candles. I especially love the corn and leaf candles that are pictured (and linked) above. 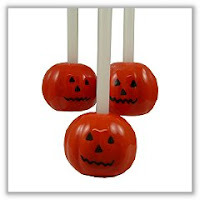 You can also find many fun and practical Halloween Candles at Crafted Candles. Imagine what you could do with the candles above. A festive centerpiece, perhaps? I already have ideas popping into my head! Along with the themed candles described above, you can find many more candles perfect for any and all occasions at Crafted Candles. There are candles for every season and major holiday, not to mention jars, pillars, votives, scented, wedding and countless other types of candles. 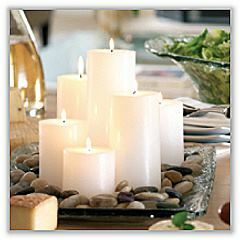 They also sell candle holders and linens on the site that complement the candles. NOTE: If you don't want to leave it to Lady Luck and want to make a purchase now, head over to Crafted Candles' Facebook page to get an exclusive discount code for fans! This post and giveaway is sponsored by Crafted Candles and powered by Couponista Queen. Wishful Thinking 247 holds no responsibility for prize fulfillment. 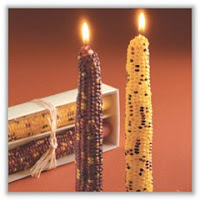 I'd love the thin taper candles - 1/4 x 15" box of 12. I would get the Pansy Flower Floating Candles Blues Set of 3. 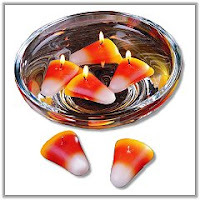 I like the Glowing Pumpkin Candles, the Indian Corn Pillar Candle, and the Stacked Peppermints Candy Pillar Candle. I love the cupcake candles, and the wine cork candles.. I love the gerber daisy floating candles and the skull candles - they are really cute.